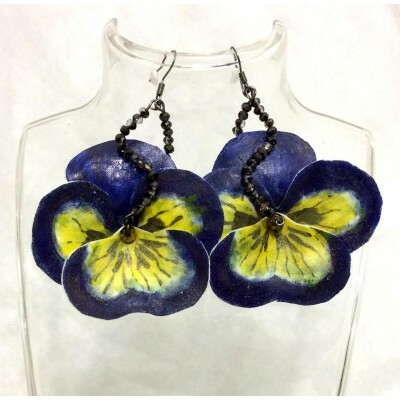 Earrings from jewellery set "Blue on Gold" with flowers of artificial suede. 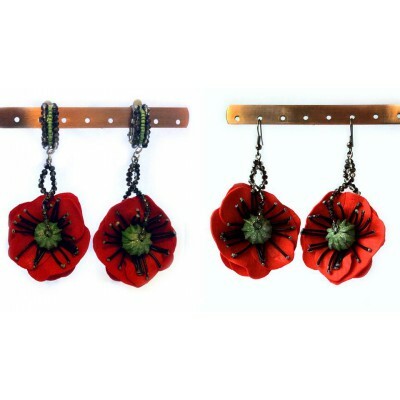 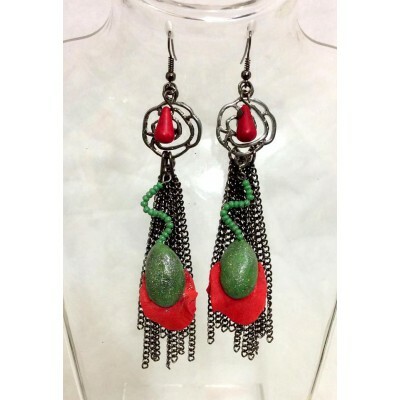 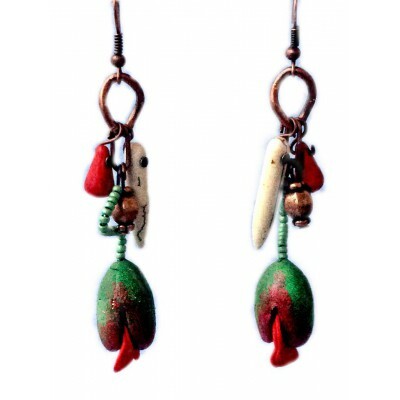 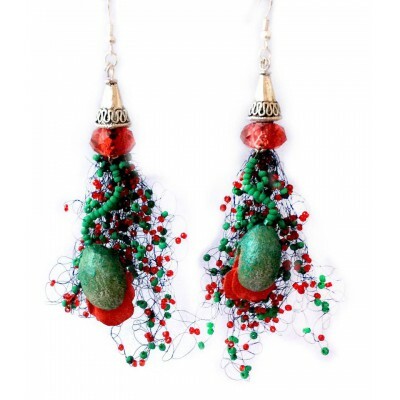 Our jewellery made..
Earrings from collection "Poppies of Ukraine". 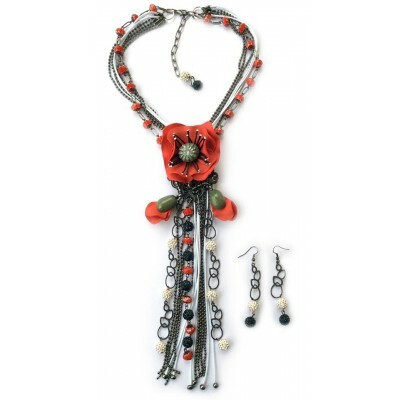 It will be perfect addition for Your blouse or dress ..
Earrings from collection "Poppies of Ukraine" made with using black chains and bright beads in techn..
Earrings from collection "Poppies of Ukraine" made with natural stones (houle and tourquise) an..
Earrings from collection "Poppies of Ukraine" made with using natural stones (hawley). 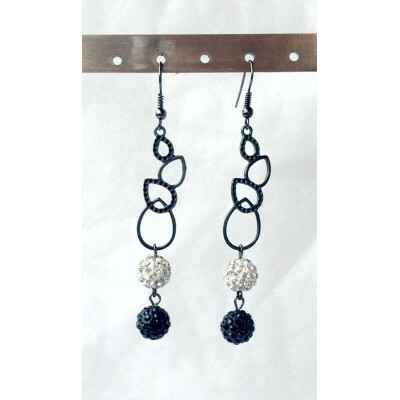 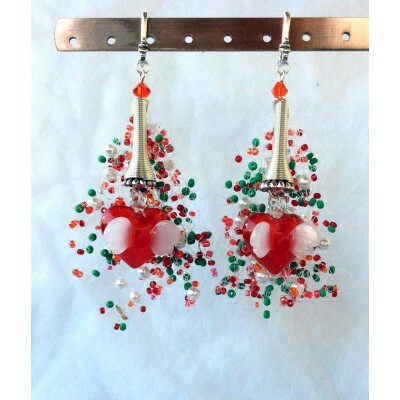 It will ..
Earrings "Poppies, Pearls and Love"
Earrings in patriotic style from the set "Ukrainian Summer". 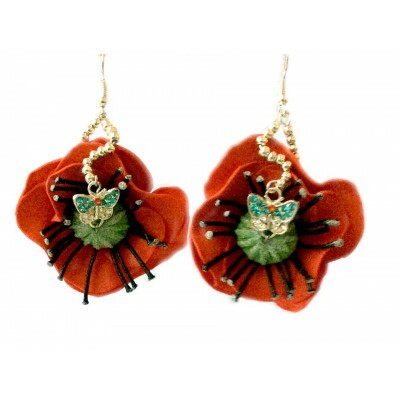 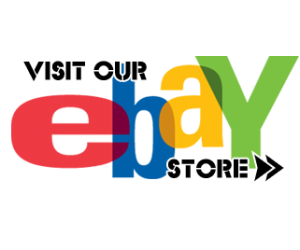 Dear customers, term or custom ma..
Earrings or clips (as per Your choice) from collection "Poppies of Ukraine". 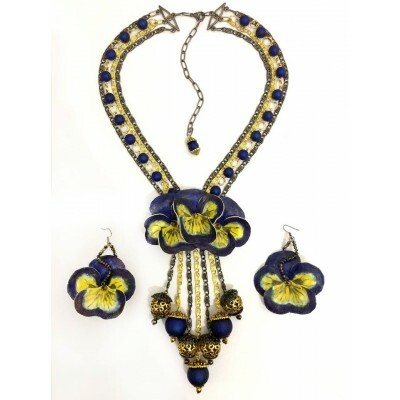 It will be perfect addi..
Jewellery set "Blue on Gold"
Jewellery set from collection "Beauty of Ukraine" has necklace and earrings. 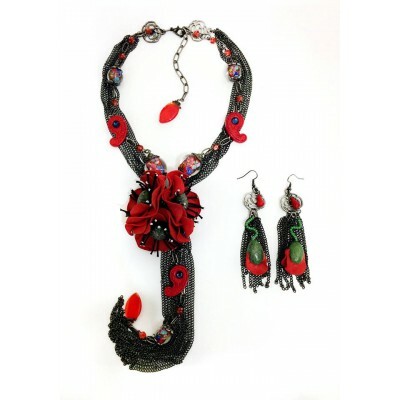 Flowers are m..
Jewellery set "Poppies and Dragonfly"
Jewellery set "Poppies and Dragonfly" has necklace and earrings. 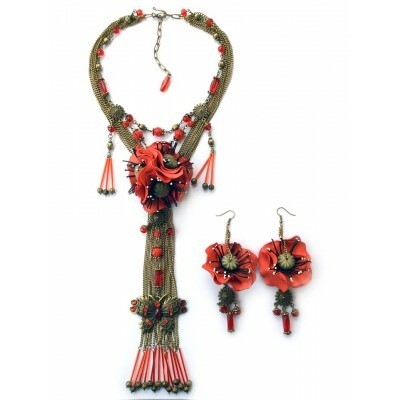 It will be perfect addition for You..
Jewellery set from collection "Poppies of Ukraine" has necklace and earrings. 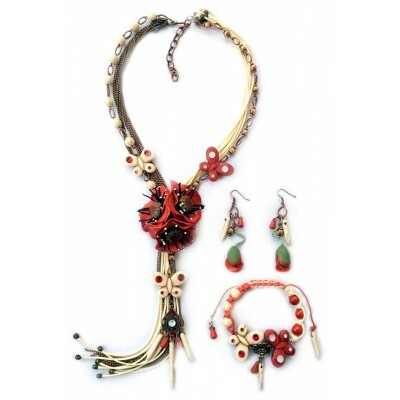 It will be perfec..
Jewellery set from collection "Poppies of Ukraine" of neclace and earrings made with using black cha..
Jewellery set "Poppies on Bronze"
Jewellery set "Poppies on Grassland"
Jewellery set from collection "Poppies of Ukraine" has necklace, bracelet and earrings. 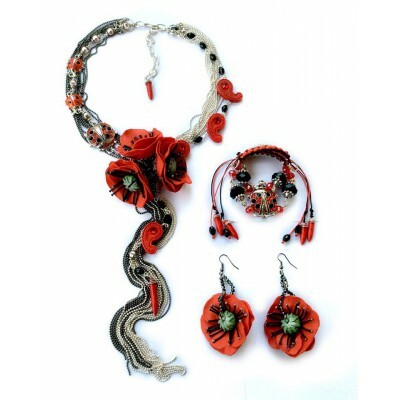 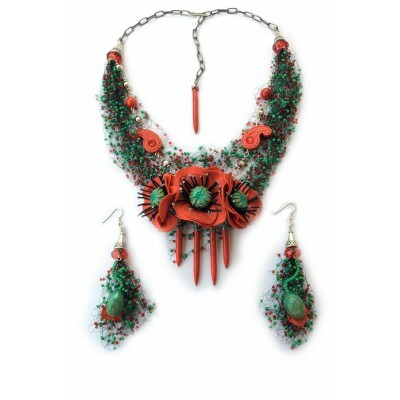 Made with na..
Jewellery set from collection "Poppies of Ukraine" has necklace, bracelet and earrings. 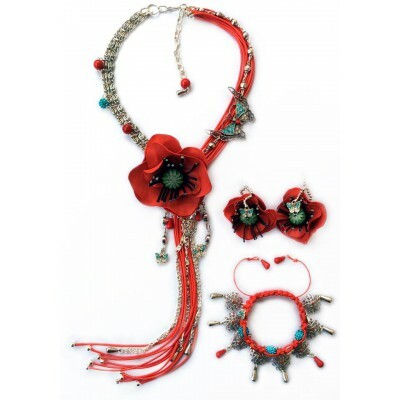 Made with us..
Jewellery set "Poppies, Pearls and Love"
Jewellery set "Spring" has ring and earrings. 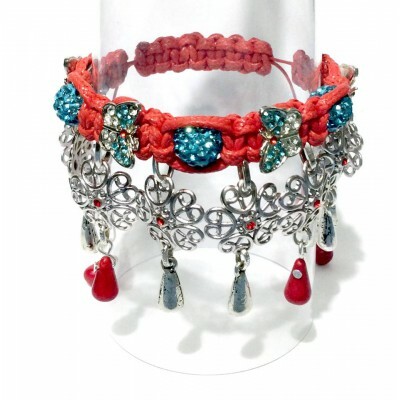 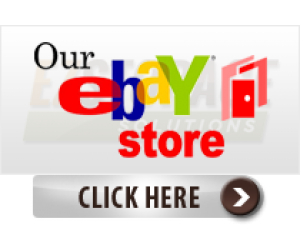 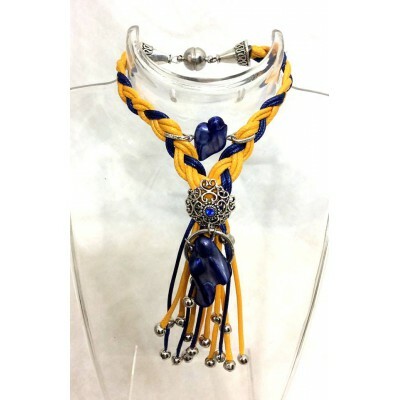 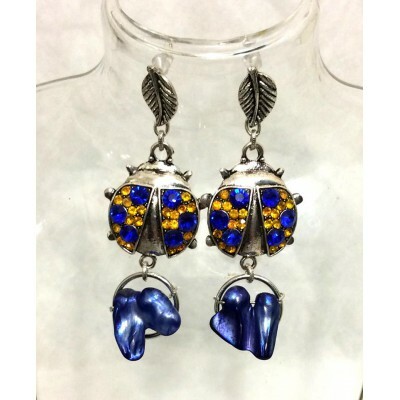 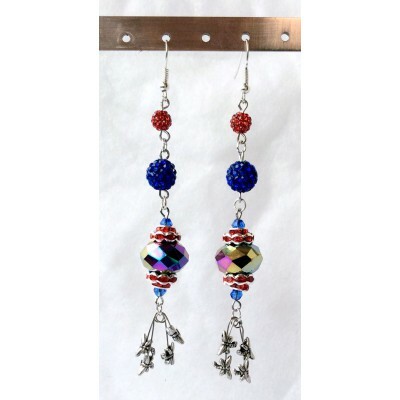 It will be perfect addition for Your blouse or dress w..
Jewellery set in patriotic style. 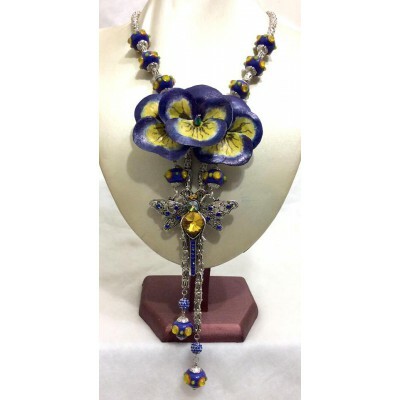 In central pendant necklace embedded sunflowers. 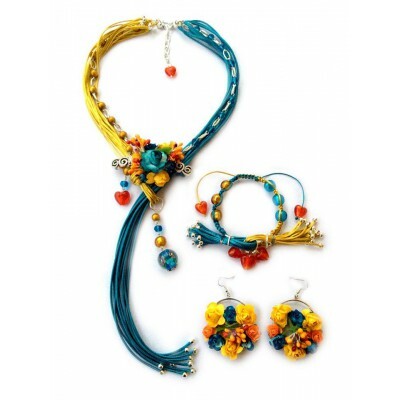 Above them ..
Jewellery set "With Ukraine in Heart"
Jewellery set from collection "Beauty of Ukraine" has necklace, bracelet and earrings. 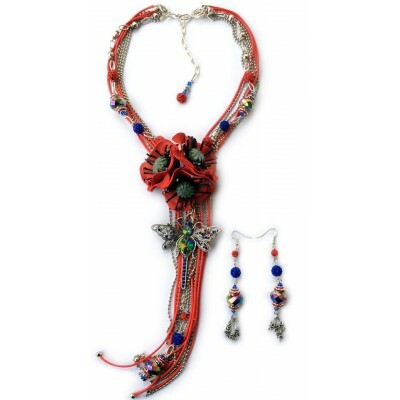 It will ..
Necklace from jewellery collection "Beauty in National Style". 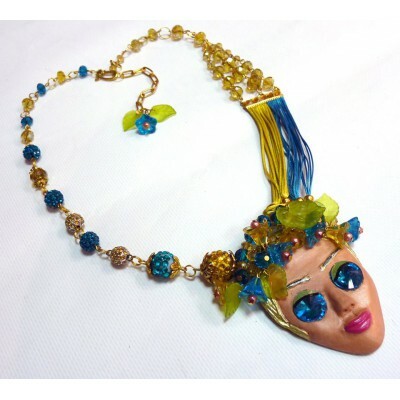 The girl's face is made by ..
Necklace from jewellery set "Blue on Gold". 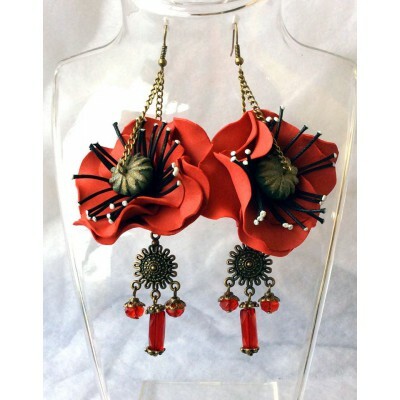 Flowers are made of artificial suede. 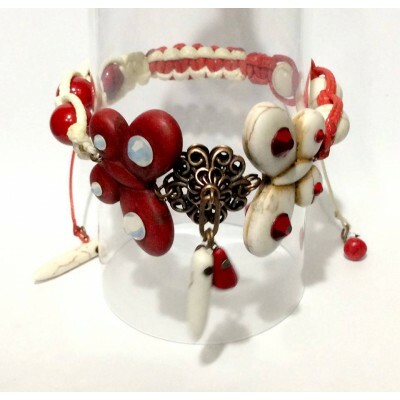 As a bas..